Re: A Contracting White Dwarf? bystander wrote: A Contracting White Dwarf? Very interesting. I note that the donor star is an O6 star and very blue, with a -0.27 Johnson B-V index, which is blue indeed, not least given the distance to the binary of about 2,700 light-years. If the compact star is a contracting white dwarf, some two million years old, then the progenitor must have been an O-type star too, and massive enough to die after a few million years. And yet, this massive star didn't turn into a neutron star, much less into a black hole, but into a humble white dwarf, albeit a massive one as white dwarfs go. It seems strange to me that an O6-type star would be the surviving member of a binary system whose more-massive star has already died, and yet it hasn't turned into a neutron star. Admittedly though, the O6-type star just might be a blue straggler, which picked up mass from its swollen, dying sibling. Maybe, in fact, the progenitor of the compact star dumped most of its mass on its companion, Algol style. So maybe the progenitor of the compact star wasn't quite as massive as we might think it was, at least not when it died. I guess it hasn't been proved beyond a doubt that the compact object is in fact a white dwarf. But this is hugely interesting, all the same. I don’t know if you’ve heard, but astronomers have found quite a few exoplanets in the last couple of decades. However, most of these are clustered in our tiny corner of the galaxy. For the 2043 planets with stellar distance listed on exoplanets.org today (yes, I know this article will be out of date in a week…) the average distance of the host star is 624pc. The center of the galaxy, meanwhile, is ~8000pc away. That’s further than even the furthest known exoplanet, OGLE-05-390L b, which is 6500pc from us. What were globular clusters doing during reionization? About your statement I highlighted in red, why do you assert that? How many stars have companions? Have you ever tried to count the stars in the sky? I remember doing that as a kid, and always giving up even before I got to a hundred. Little did I know that I would never get the right number. As we’ve talked before here on Astrobites, one plus one is not always two when it comes to stars. The process of stellar formation occurs in dense molecular clouds, where many stars form at the same time. As a result, many of them end up in multiple systems (binaries, ternary, etc.). But how many? We’re still unsure how life began, but we have plenty of ideas for how to snuff it out completely. From global warming to an asteroid collision, rogue AI to a supervolcano explosion, we have a morbid ability to imagine our own demise (and dramatic rescue, if you have a Bruce Willis with a thermonuclear weapon). But the cosmos has far more powerful means of sterilising planets beyond the solar system, and depending on how common they are, the chances of life lasting elsewhere in the cosmos could be slim indeed. Massive stars end their lives in massive explosions known as a supernovae (SNe), and if they are rotating rapidly enough can lead to gamma ray bursts (GRBs). GRBs can also occur during the collision of two neutron stars. Both SNe and GRBs release massive amounts of hard, ionising radiation that can dissociate complex molecules, or strip the atmosphere of a planet completely, killing any complex life on the surface. Such extinction events are not purely hypothetical – at least one mass extinction event in the history of life on Earth, in the late Ordivician period, has been attributed to a GRB. The supermassive black holes at the center of every galaxy can also release huge amounts of radiation when they’re accreting matter (hence the name, Active Galactic Nuclei, or AGN), which can irradiate any nearby stellar system in a similar way to a SNe or GRB. “Our human eyes are the tools that peek at the secrets of the night sky”, so said the ancient Chinese astronomers who witnessed the supernova of the Crab Nebula in 1054 AD. But the heavens only truly light up through the lenses of telescopes, allowing us not only to peer into, but also to peel away, the mysteries of our Universe. We started out in 1609 with Galileo’s 37 mm refracting telescope, proceeded to Newton’s 150 mm reflecting telescope in 1668, and leapfrogged to William Herschel’s 49 inch (125 cm) reflector in 1789, which held the record as the world’s largest telescope for the next 50 years. Two hundred years later, not only do we have artificial eyes in space constantly staring deeper into the infancy of the Universe, we also have all sky maps in various wavelengths of light and larger telescopes from the ground, with bigger and more ambitious programs already lined up for the next five to ten years. As an astronomer in training, I never fail to be amazed by the giant leaps we have made over the course of human history. Even so, we are still only scratching the surface. Red clump (RC) stars are common stars, once similar to the sun, that have evolved into red giants now supported by helium fusion in their cores. Independent of their exact age or composition, all RC stars end up having about the same absolute luminosity. This is why they tend to “clump” in a particular spot in a color-magnitude or Hertzsprung–Russell diagram (Figure 1), and what makes them standard candles: The apparent brightness of RC stars is directly related to their distance. Space travel is difficult. We’ve had to learn this lesson the hard way through some pretty spectacular failures (see the Mars Climate Orbiter), but we persevere and are rewarded with a lot of science and so many stunning images (see Juno). However, this is just our own Solar System, which is a tiny grain of sand in our Universe’s beach. Interstellar travel, that is, travelling to another star, is impossible with our current chemical-fuelled rocket technology. To reach our nearest neighbour, Proxima Centauri, will take current probes, travelling around 10 km per second, hundreds of thousands of years. Thus, the Breakthrough Starshot project was born. Like most of the main sequence stars, the Sun brightened as it aged due to the gravitational contrast from hydrogen fusion. About 4 billion years ago, the Sun shined only about 70 percent as bright as today. Astronomers Carl Sagan and George Mullen raised the issue that according to the irradiation from the fainter young Sun, Earth should have been in a fully frozen state about 4 billion years ago, the so-called snowball Earth. However, if the Earth was truly in a snowball state, it would have been very difficult to escape the global glaciation, as we will discuss later in the article. The geological evidence, such as sedimentary rocks, also tells us that the Earth had liquid oceans over its evolution history. Carl Sagan and George Mullen proposed that a different atmospheric composition with more greenhouse gases, like ammonia or carbon-dioxide, would help to warm up the early Earth, preventing it from being locked in a global glaciation state. What is the Most Massive Object in the Universe? There are many things to like about astrophysics. What I personally find fascinating is the range of sizes over which astrophysicists try to understand objects and phenomena. Having a grasp of micro-phenomena (like atomic transitions in spectra from stars) is as important as getting the hang of macrophysics (like merging of gigantic galaxies, and radiation from the big bang. My liking for objects like galaxy clusters stems from the above rationale too; various physical phenomena occur within these structures at all distance scales! Our galaxy is embedded in a cloud of dark matter, thought to consist of tiny particles traveling along orbits through the halo. These dark matter particles permeate all regions of the galaxy, extending far beyond the edge of the bright central spiral, but also orbiting through our solar system, and even passing right through the Earth. This is why scientists build giant detectors, hoping to trap some of these dark matter particles as they pass by. So far, these experiments have not detected dark matter, but that lack of detection is actually quite interesting. Finding out what dark matter is not, thereby narrowing down the possibilities, is an important step towards revealing the true nature of these mysterious particles. A free-floating, or rogue, planet is simply a planet that is not gravitationally bound to any star. Given that current planetary detection methods, such as the transiting method and radial velocity measurements, highly depend on the properties of the host star, planets without accompanying stars have proven more difficult to detect. 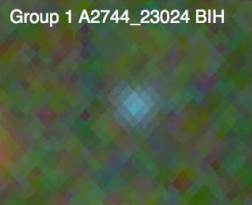 However, there still have been detections of these objects, mainly due to microlensing surveys. 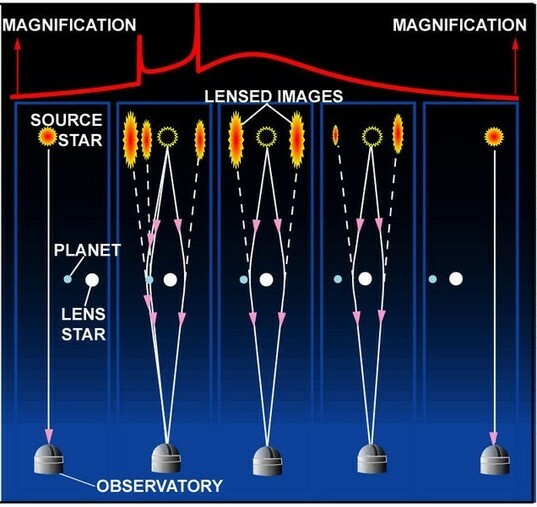 The microlensing effect is shown in detail below in Figure 1. These kinds of events are rare, but when they are detected they reveal a lot of information about the planet creating the lens. Where do globular clusters (maybe) come from? 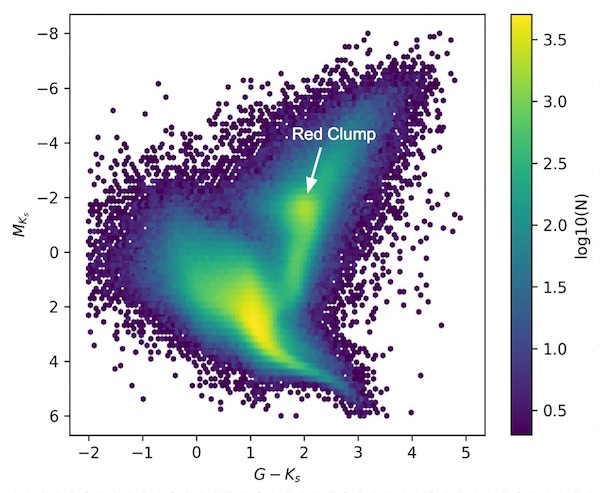 Today’s paper reports the discovery of even lower-mass galaxies, which the authors (somewhat more sensibly) call “Little Blue Dots,” or LBDs (Figure 3). The Little Blue Dots were found in the Hubble Frontier Fields, patches of sky that the Hubble Space Telescope stared at for a really long time. Every star has its own spin. Surprisingly, the rates at which stars spin are not completely random. This is because a star’s spin rate contains the imprint of the star’s evolution and interactions with its environment. For example, if a star were a perfect, isolated sphere, conservation of angular momentum would cause a contracting star to spin faster. There are complicating factors, like magnetic fields which thread through circumstellar material, and cause angular momentum to be transferred from the star to the disk. Stellar winds can blow away material, which carries angular momentum away with it. Angular momentum can also be transferred between different layers of a star— for example, a star that appears to be rotating slowly could be hiding a reservoir of angular momentum in a rapidly-spinning core. But for the spin of young, massive planets, there is… almost no data at all. Our own solar system has planets that are old and small enough so that the primordial physics is difficult to disentangle (though the fast spins of the gas giants undoubtedly harbor a trace of their primordial states). To probe the spin states of young planets, we must turn to exoplanets. It is not uncommon to hear contemporary legends of interstellar spaceships visiting the Earth as unidentified flying objects. What is unusual, though, is to have a factual (yet uncrewed) interstellar visitor in the Solar System: this is the case of the recently discovered asteroid 1I/‘Oumuamua. Pinpointing the origins this remarkable visitor is nearly impossible, but we can draw a few different scenarios of how it ended up in our humble neck of the woods. From its trajectory across the solar neighborhood, we are able to say that ‘Oumuamua is unlikely to have originated from a nearby star; furthermore, its velocity is consistent with the local galactic standard of rest, which implies that the asteroid was ejected at a low speed from its parent star. Although the slightly red color of ‘Oumuamua resembles that of a Kuiper Belt object or a long-period comet, it does not show any sign of cometary activity (i.e. outgassing of volatile material). It’s a common joke among astronomers that the question, “Have you considered magnetic fields?” is always a stumper at conferences. Magnetic fields are complicated and often behave counter-intuitively. When people need to consider magnetic fields, it’s nice to be able to make simplifying assumptions: for instance, that a system is either “magnetic” or it’s “non-magnetic”. In reality, the situation can be messier. We explore an example in today’s paper.